As the above image shows, there’s a bit of snow on the way. Throughout January, the common trend was, if some snow was forecast, we got heaps. Quite often we got more than double what those red numbers told us. There’s no reason why that trend won’t continue into this month. We’ve had something of a quiet spell over the past week or so, allowing us to get our snow shovelling in order for the next dump. That appears to be very near! There are a few people around for Chinese New Year holidays. With some snow to follow this sunshine, there’s an anticipatory vibe around the village. Bring on the powder! What is today looking like on top of the mountain? Enjoy the warm temperatures today, ladies and gents. The winter switch should be firmly turned back to “on” tonight. Don’t forget that we enjoy a very long season here in Nozawa Onsen. 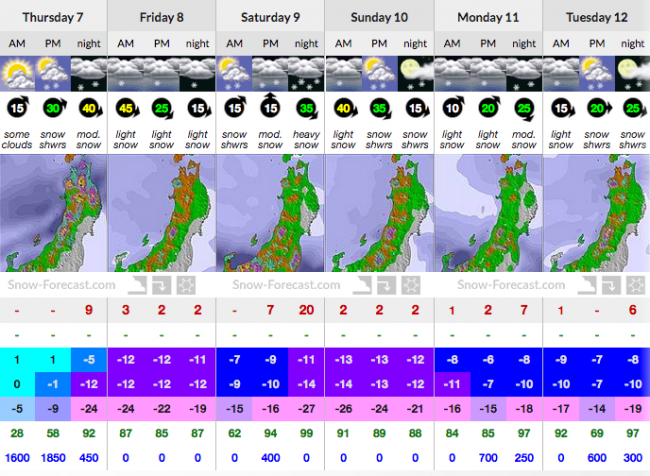 All going according to plan, we’ll be skiing right up until Golden Week in early May. 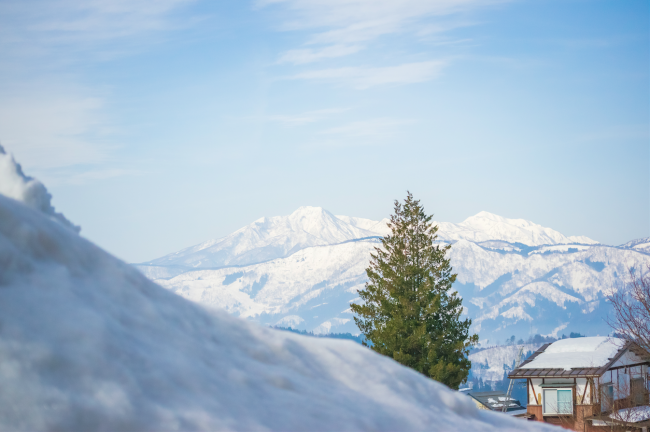 Spring skiing in Nozawa sees some very pocket-friendly options for families (the kids won’t get too cold either) and couples looking to get some skiing in while in Japan to check out the cherry blossoms. Have a look at the link below for all the info and discounts to be had during late March and April.